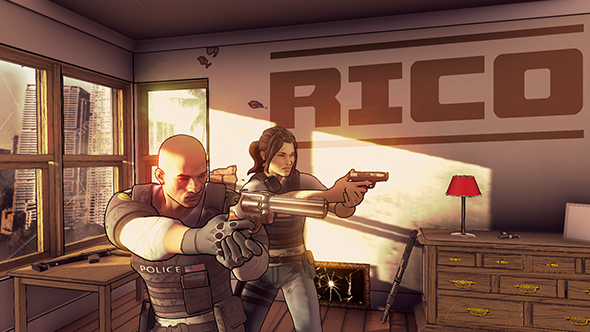 At first, RICO appears to be a tactical shooter in the vein of Rainbow Six. Your aim is to clear buildings of Russian mafia mobsters while searching for evidence to arrest their bosses on RICO charges (a law set up to catch mob bosses who order, but don’t take part in, low-level organised crime). 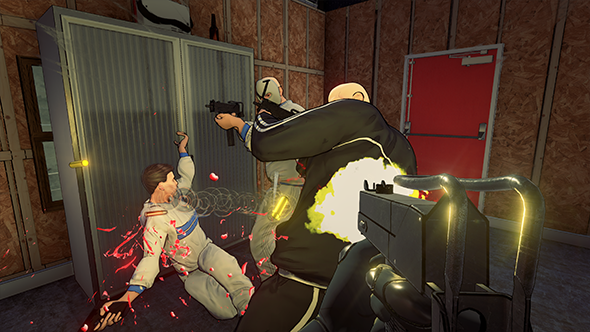 In practice it plays like John Woo made a SWAT game. While you wait for RICO, check out these other great co-op games. See, in RICO, you don’t open doors, you boot them off their hinges. As soon as the door leaves the frame, the world slows down and you have a few precious seconds to line up your shots and kill the mobsters waiting inside. The whole game is designed to be played in co-op, too. So there’s the joyful moment when you barrel into a room spraying your enemies with lead, and then a moment later your partner boots in another door, and time slows down all over again. RICO scratches the part of my brain that remains deeply in love with Max Payne, a love that games rarely tap into. Remedy is one of the few developers that are able to capture the action movie style, recognising how energetic a scene becomes when you make every object in an environment crackle and explode when it’s hit by a stray bullet. 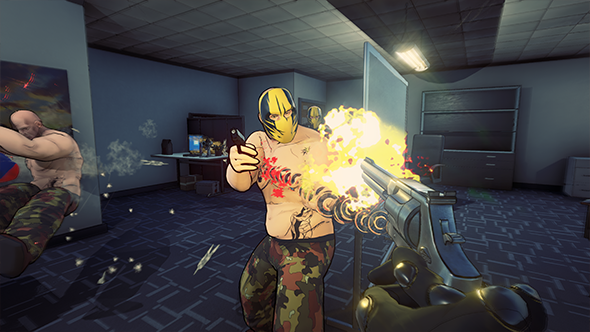 RICO is still in early development but there are already neat touches hinting that it’s headed the same way – doors fly off their hinges as you kick them, computer monitors spark and jump as you shoot them, and the moment you kill an enemy their body becomes almost weightless as it flies away from you with the force of the bullet’s impact. I had a run through six of RICO’s procedurally generated levels, some set in office buildings, others in warehouses. Each of them was a maze of tight corridors and small rooms. There are only three weapons available at the moment – a pistol, revolver, and uzi – but you can alter how they behave with a long list of modifiers. There are modifiers to increase the slowdown when you kick in the door, increase the damage of the final bullet in your clip, and reduce the damage you receive from the shots of your attackers. Other guns are coming too – the developer I spoke with, James Parker, promised. You’ll unlock new weapons and modifiers by completing runs of RICO’s procedurally generated campaign. Each string of missions is built around taking down a criminal organisation before the timer expires. For instance, a head of the Russian mafia may be on US soil for just 24 hours, and you need to assault multiple hideouts of his gang to collect the evidence you need to arrest him. Each mission on the campaign map will consume a chunk of your time and offer a portion of the evidence you need. That means you’ll need to select your targets carefully, as less difficult missions may not offer you the evidence you need to reach your goal, or may take up too much of your time. There will also be missions that vary up the formula that have you trying to discover and destroy a server hacking into the police mainframe. Missions like that will have you racing against a timer, clearing rooms as fast as you can in your search for the computer. What I played of RICO was great fun, with the joy of booting in a door and diving into a room in slow motion never losing its charm. Hopefully, when the game hits Early Access later this year, it will fast fill up with new mission types, weapons, and explodable objects to keep its procedurally generated levels lively.